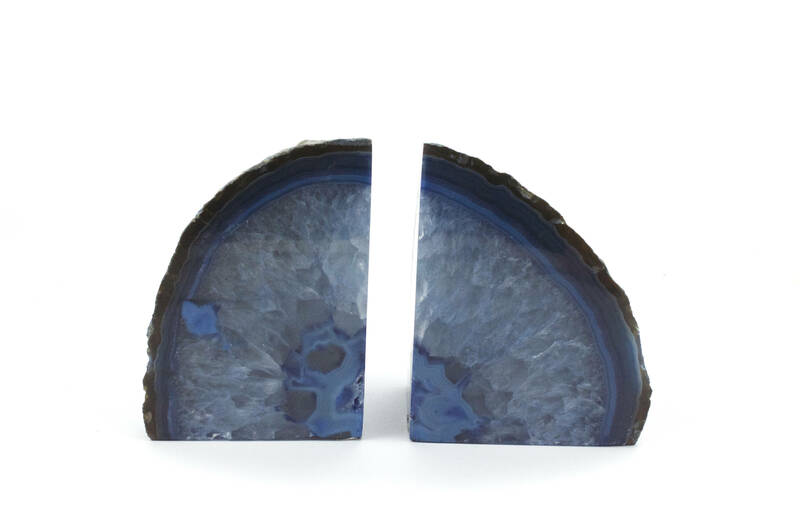 These crystal bookends are beautiful pieces to add to anyone's collection! 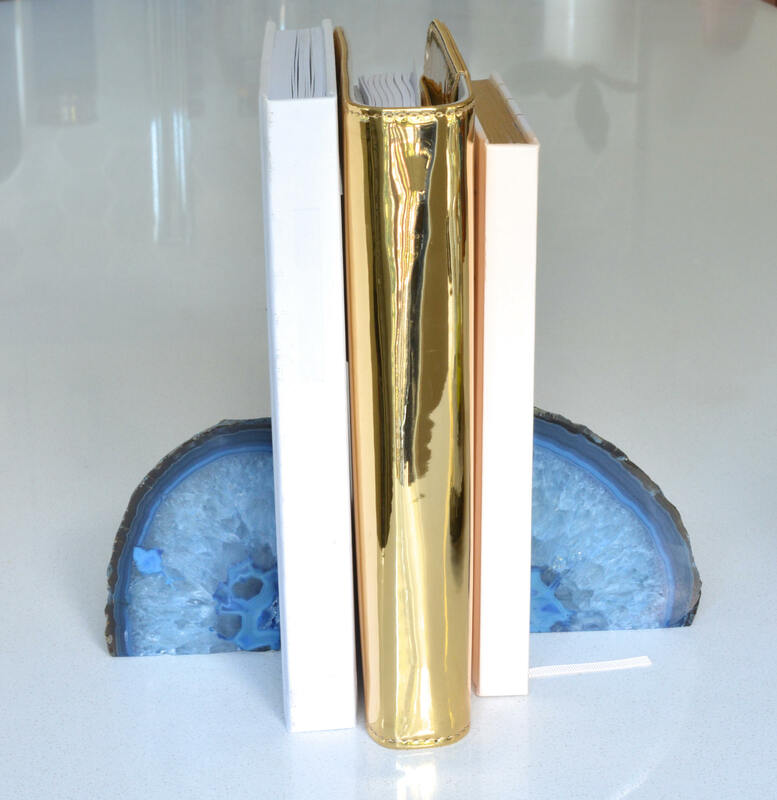 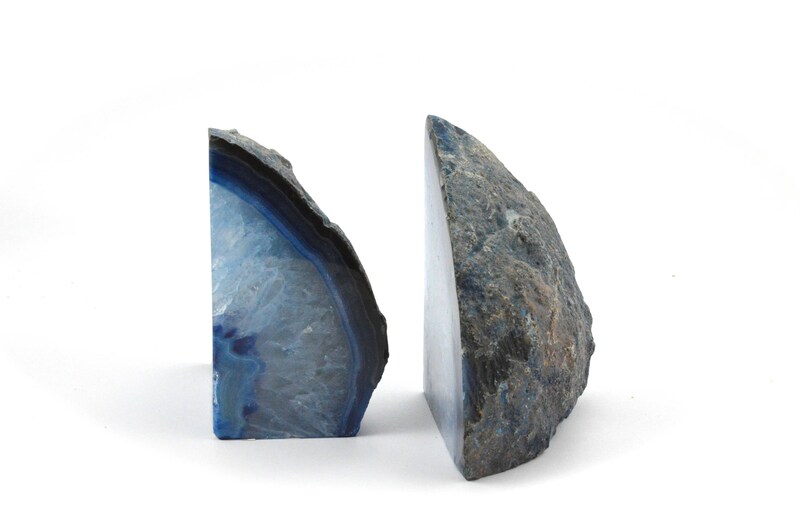 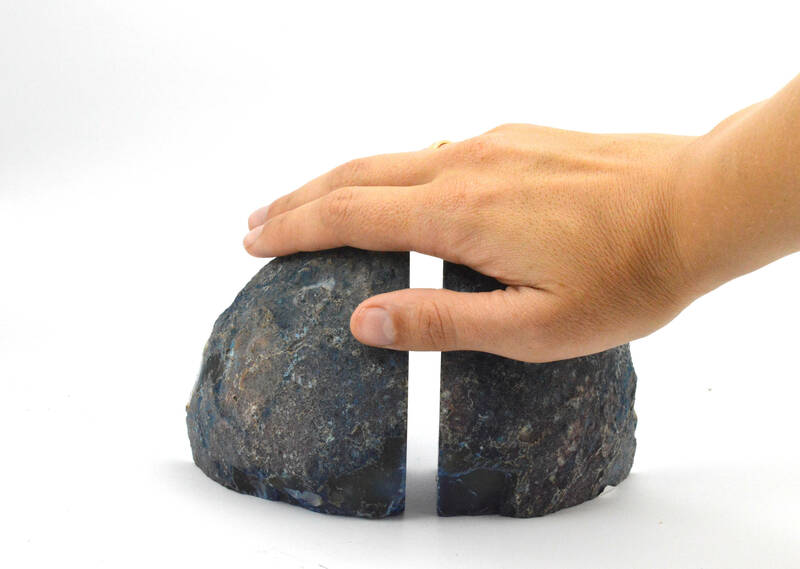 Made from a piece of agate, these bookends features a dyed agate blue colour scheme. 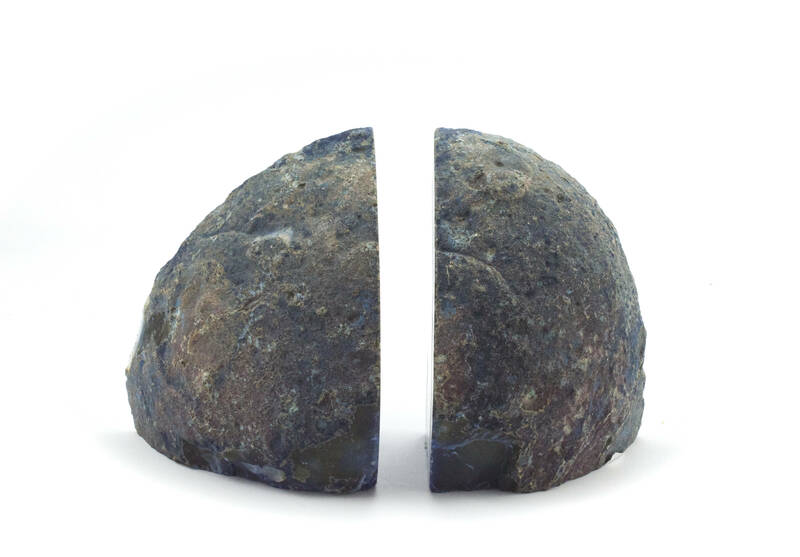 It is 15cm (5.91 in) across when the two pieces are placed together and from top to bottom it is 10cm (3.94in).